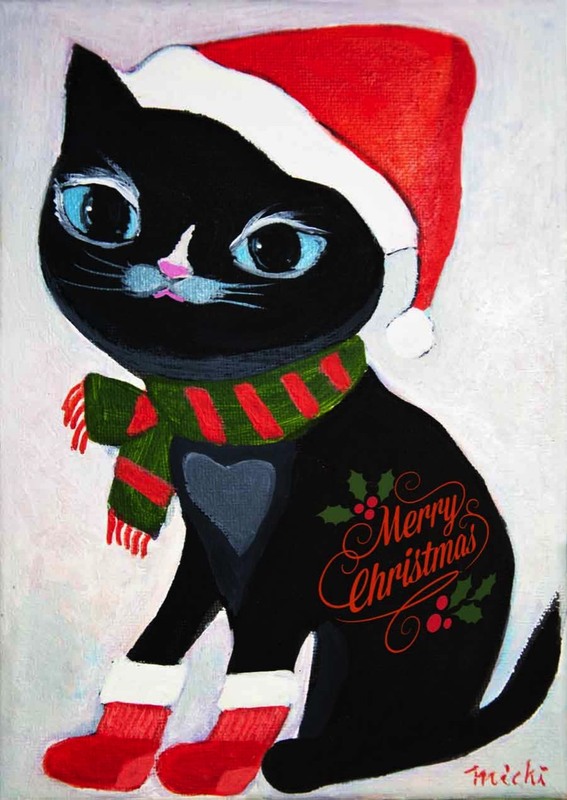 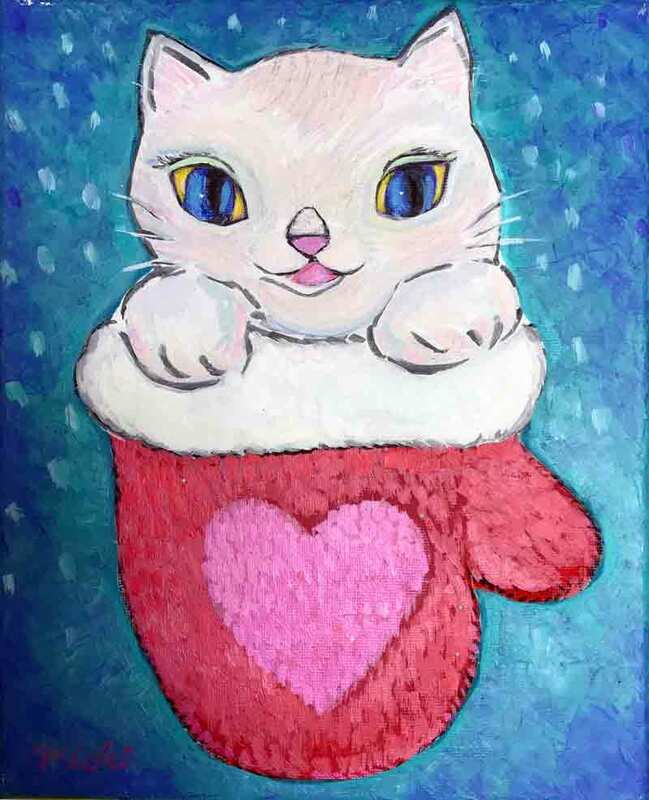 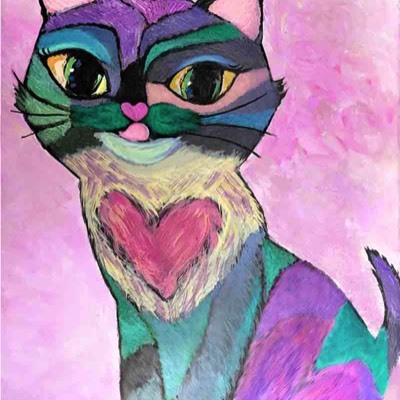 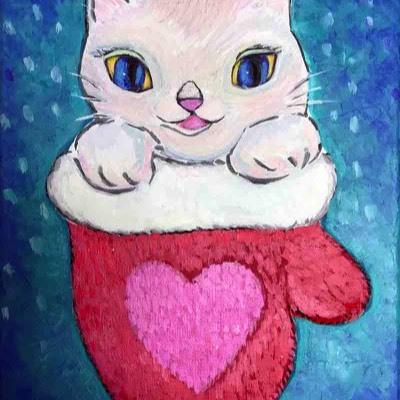 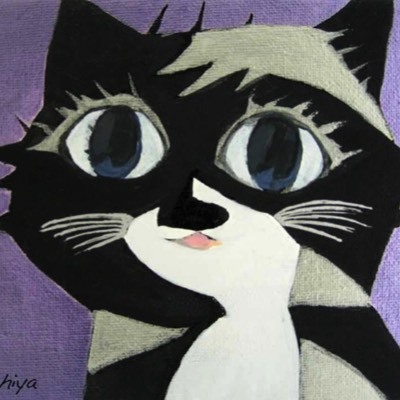 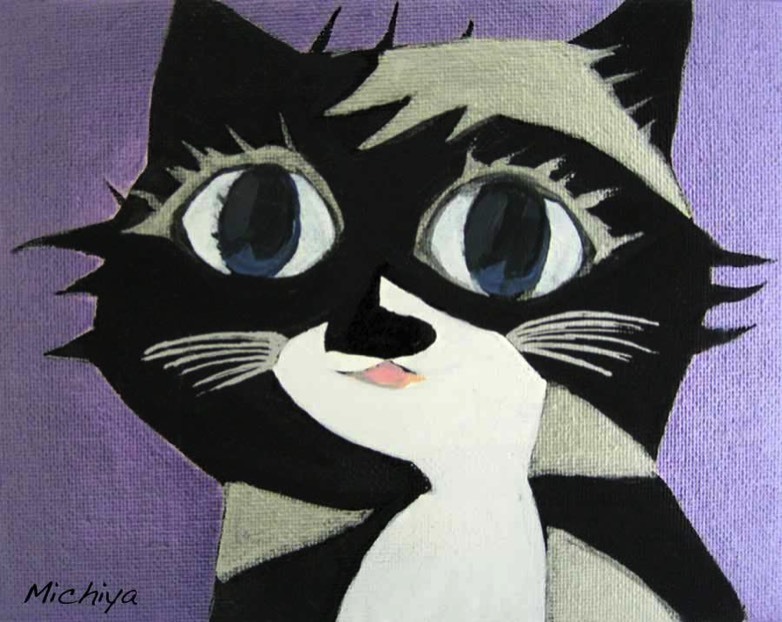 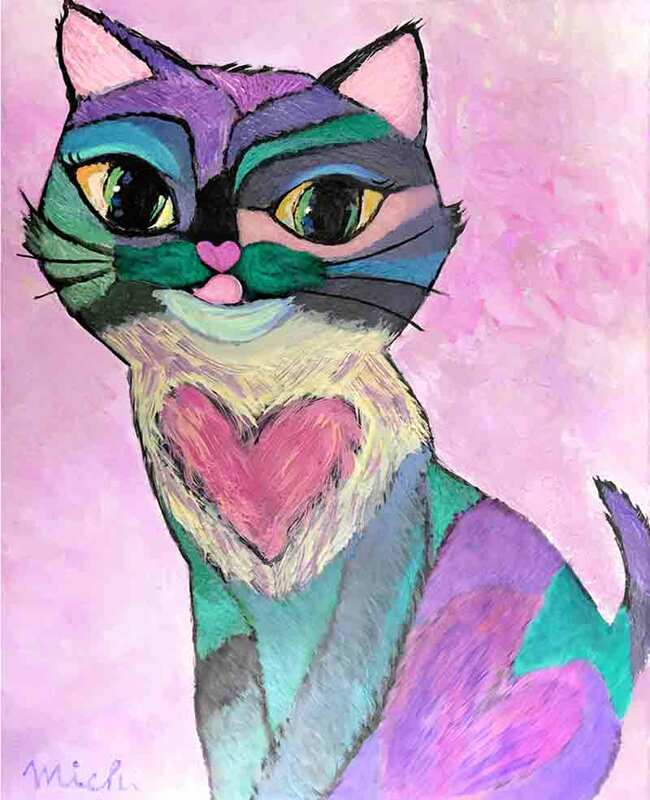 Hi, guys, cat lovers, This page shows you my cat paintings done in 2014 mostly. 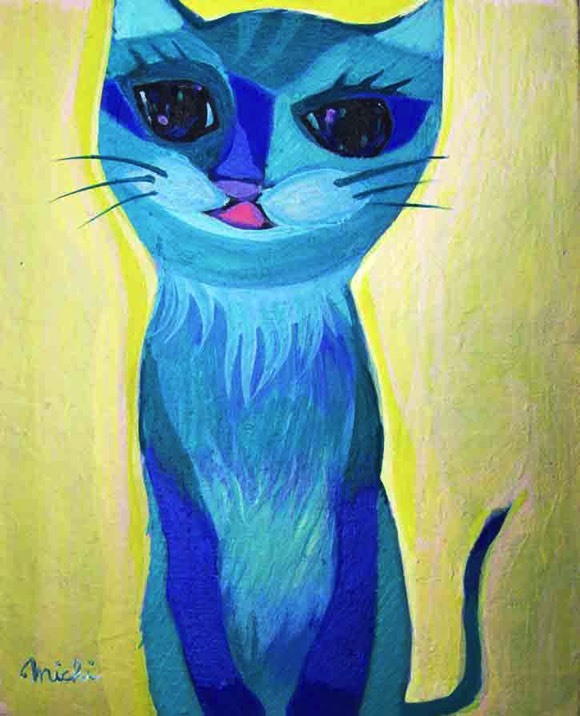 I really love to paint cats because I feel to enjoy painting cats. 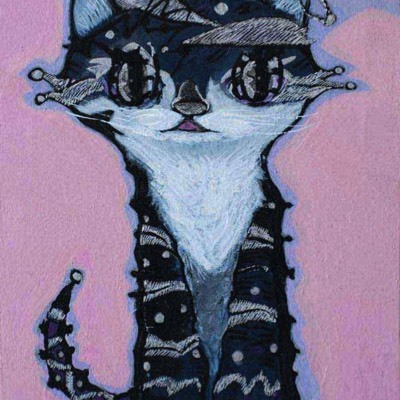 Of course, I do love cats. 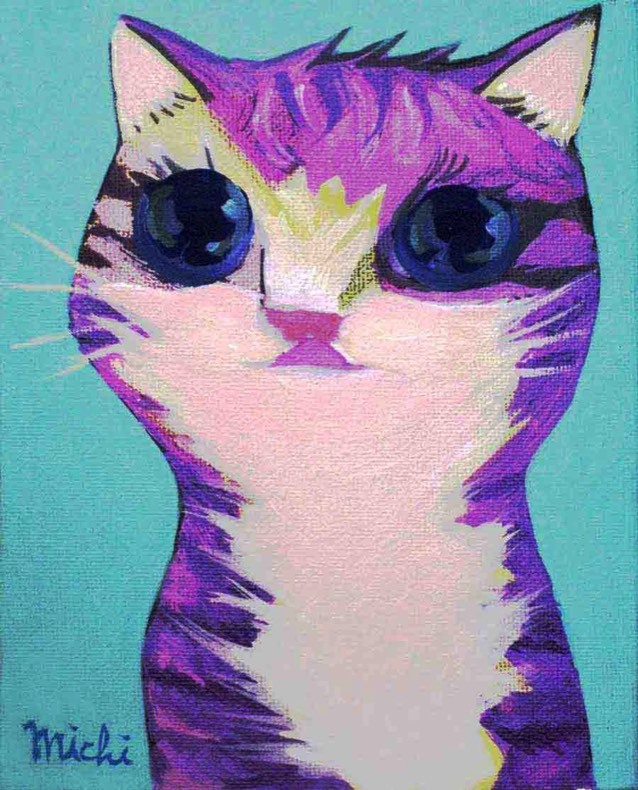 Everything in this page is painted my concept without cat models though, it is a quite lot inspired by Pinterest. 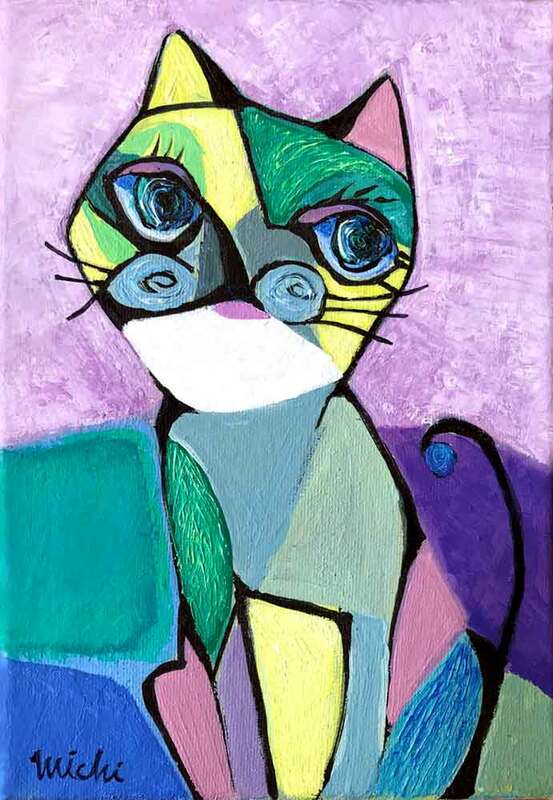 I would like to keep painting cats as much as I could, and more uniquely to be represented them as well. 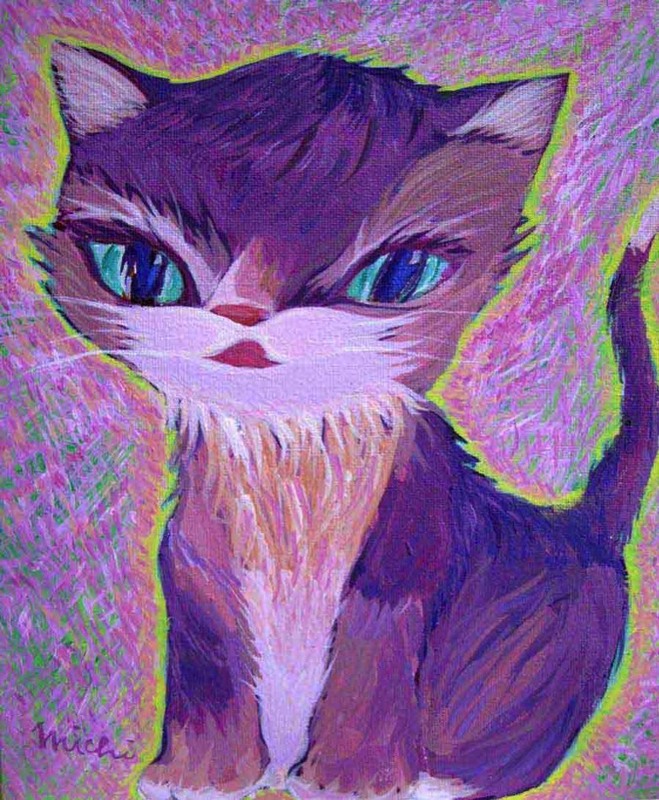 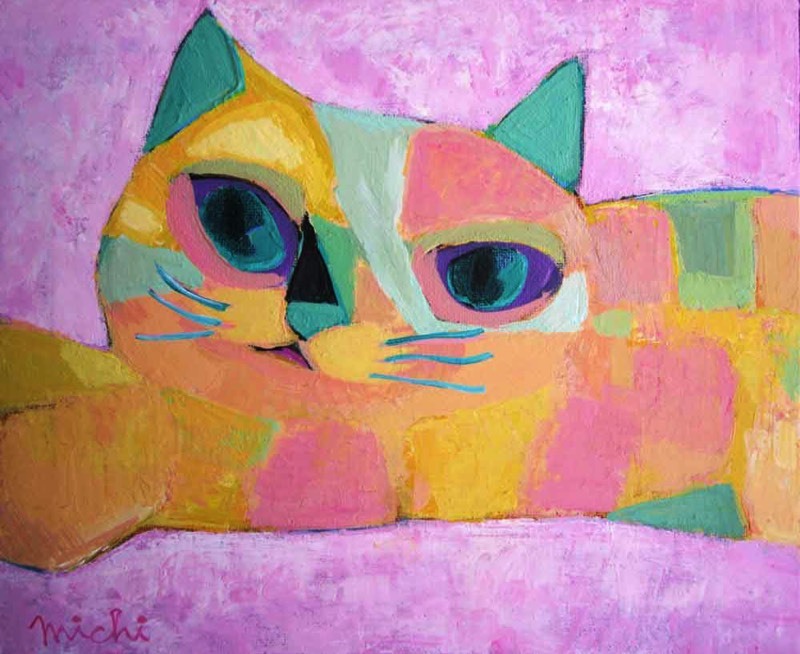 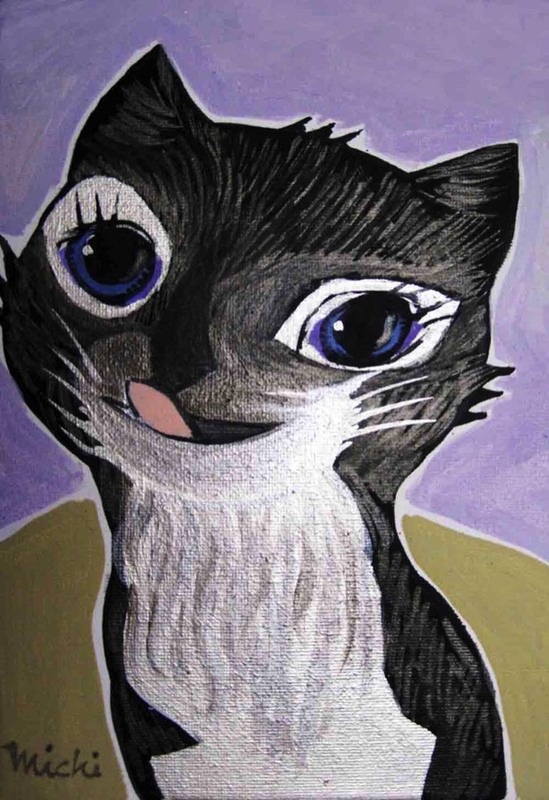 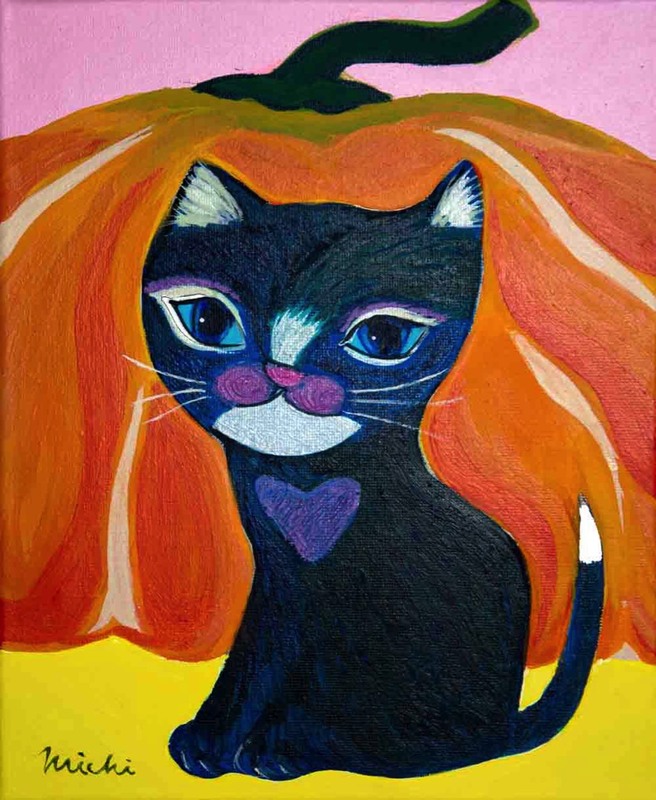 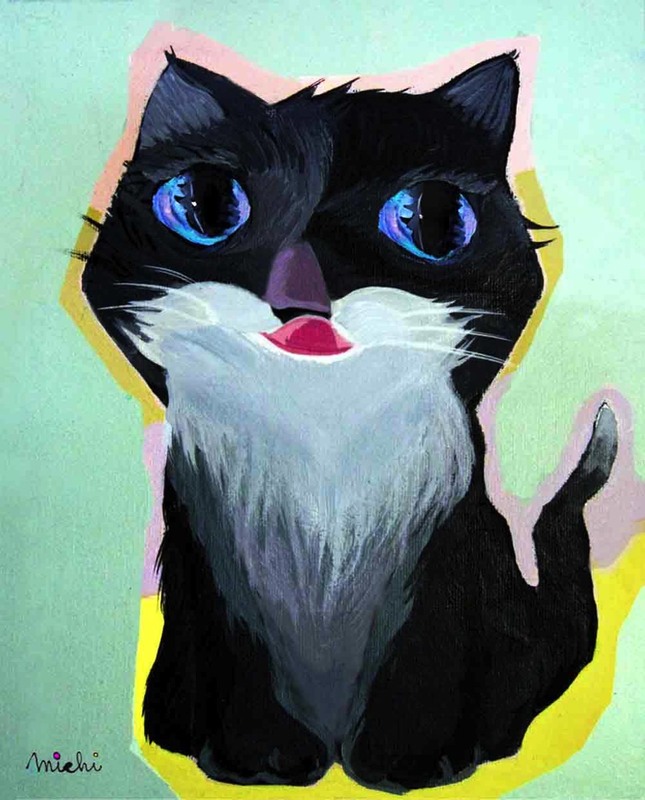 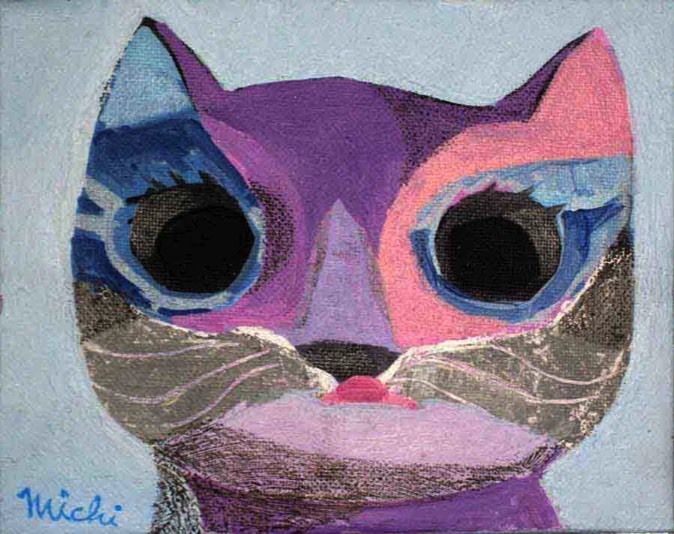 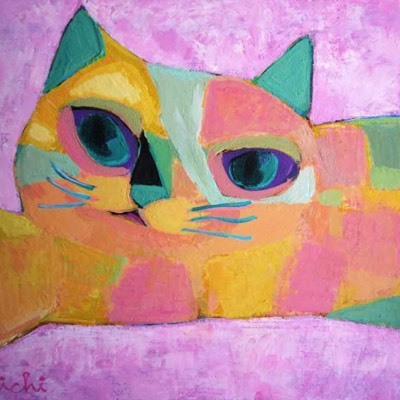 A whole lot of cat paintings will be updated, so getting touch and check them out to my web site. 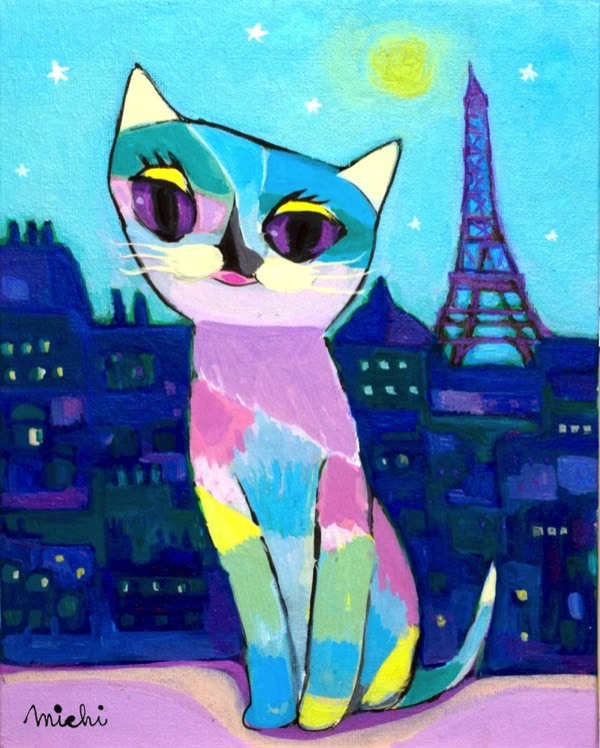 Salut, les gars, amants de chat, Cette page vous mes peintures de chat fait en 2014 la plupart du temps montre. 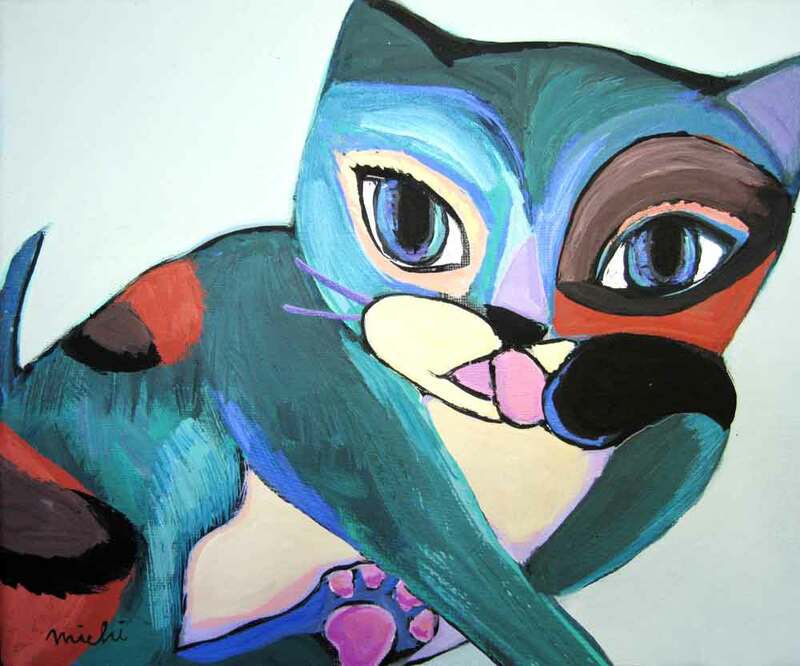 J'aime vraiment à peindre les chats parce que je sens pour profiter de chats de peinture. 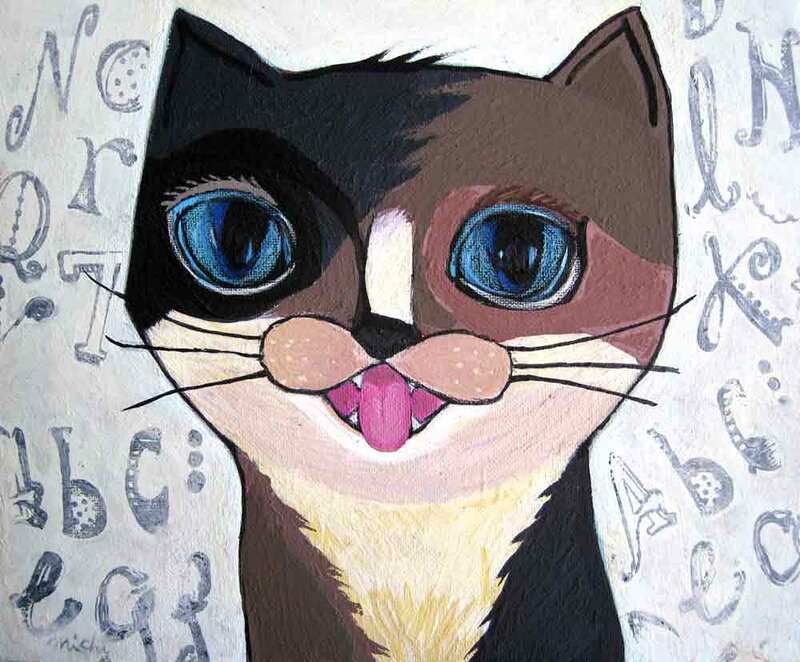 Bien sûr, je fais l'amour des chats. 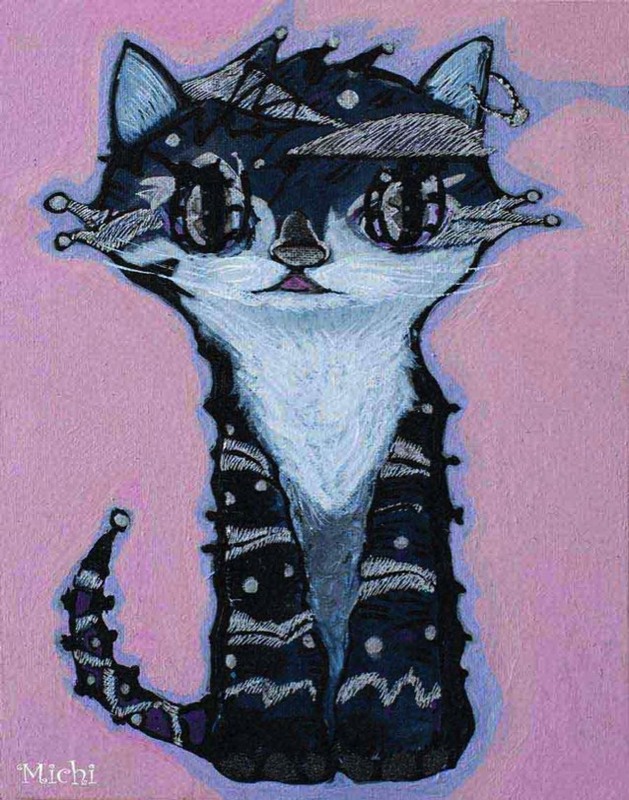 Tout dans cette page est peint mon concept sans modèles de chat cependant, il est tout à fait beaucoup inspiré par Pinterest. 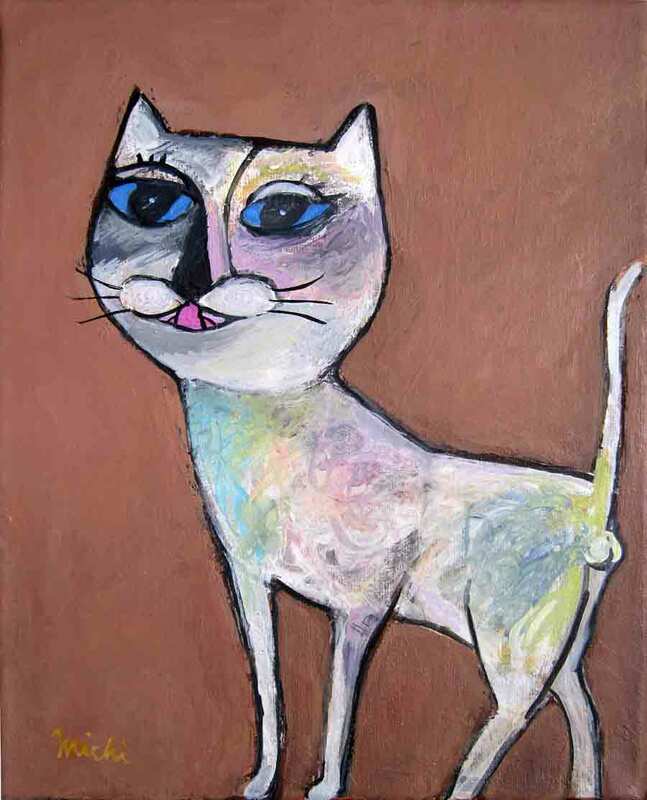 Je voudrais garder les chats de peinture autant que je pouvais. 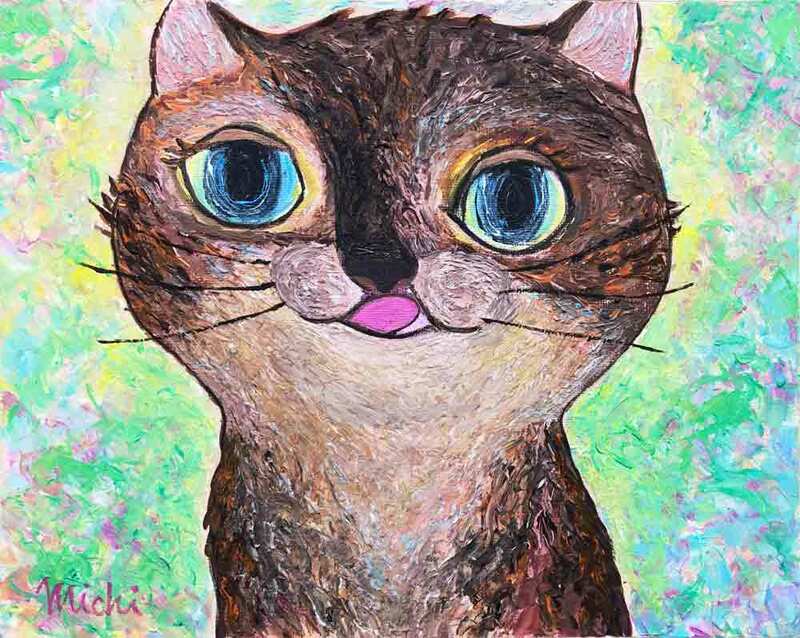 Un tas de peintures de chat sera mis à jour, se toucher. 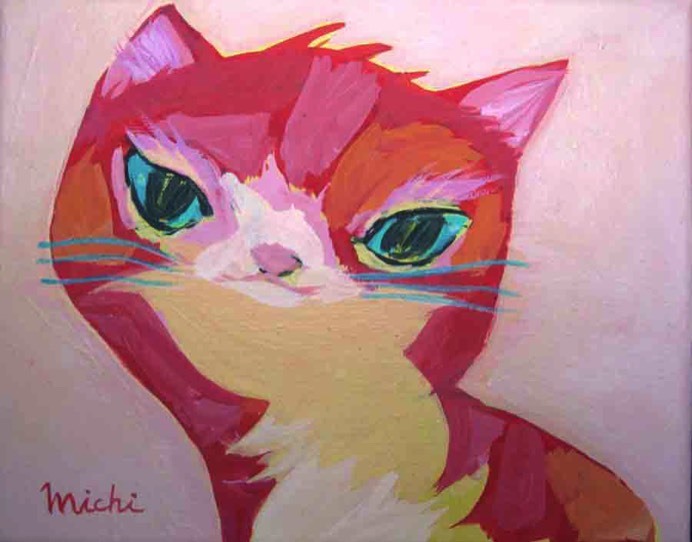 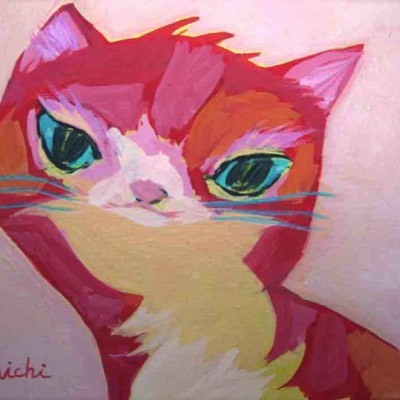 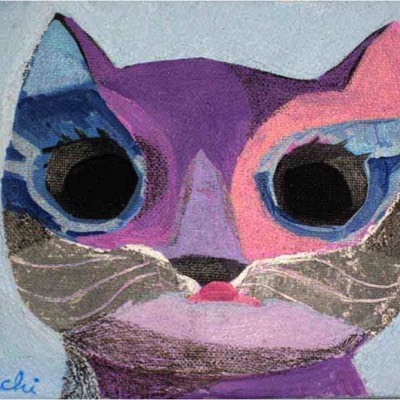 Here is a music to listen as BGM for while watching my cat paintings. 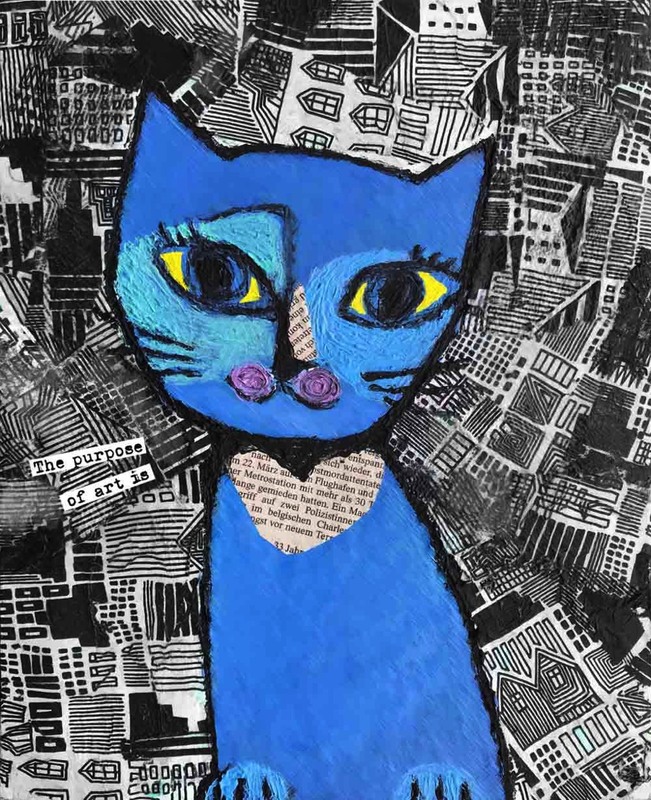 It's an Erik Satie - Gymnopédie No.1 [piano] ♫, the audio sound is looped. 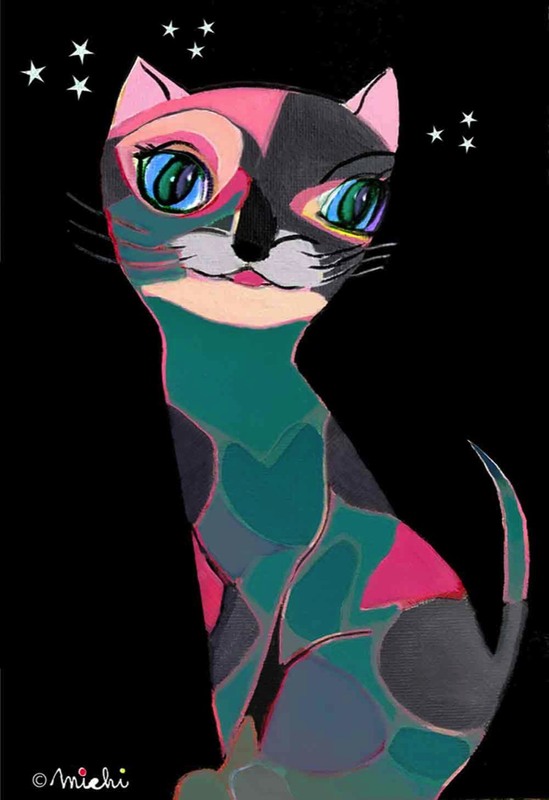 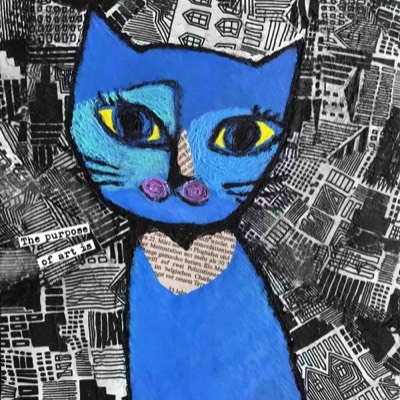 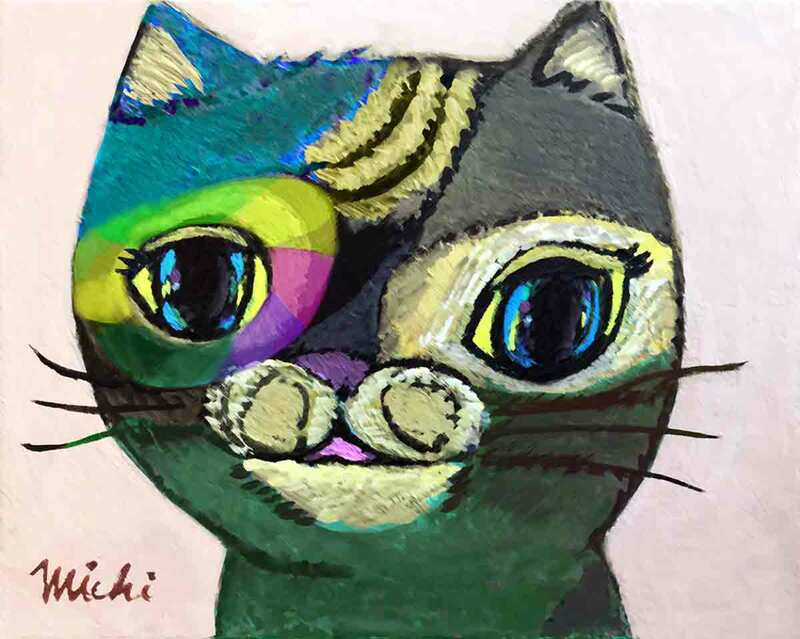 アーティストの中尾道也は大のネコ好きでネコの絵を描いています。またPinterestにてMy cat paintingsのボードに作家自身の猫の絵をピンしています。 Artist Michiya Nakao, he is a Pinterest user and pins his own works of cat painting on the My cat paintings.